This was our first actual day in Budapest and our last full day on the Viking Baldur. Viking offered a few tours this day to passengers, but we had already planned a private tour on our own. The Viking tours for the day included the typical bus/walking tour of the city. Then there were two optional tours this day: the first was a horse show; the second was a spa visit. Typically there is a Jewish Synagogue tour as well offered by Viking, but since it was a Saturday the tour could not be offered to passengers. Since we had a tour planned on our own, we obviously did not have time to partake in any Viking offered. For the private tour, I actually found it a couple weeks before heading out on our trip. 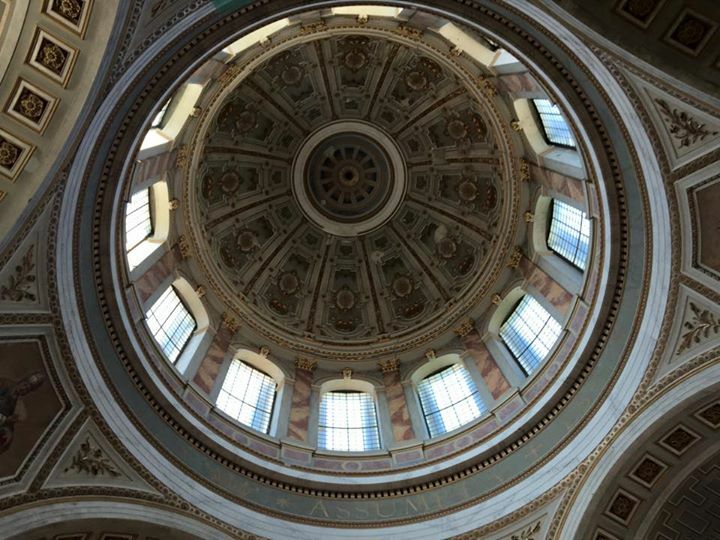 I was looking for information about Budapest and came across the website Travel Guide Hungary. 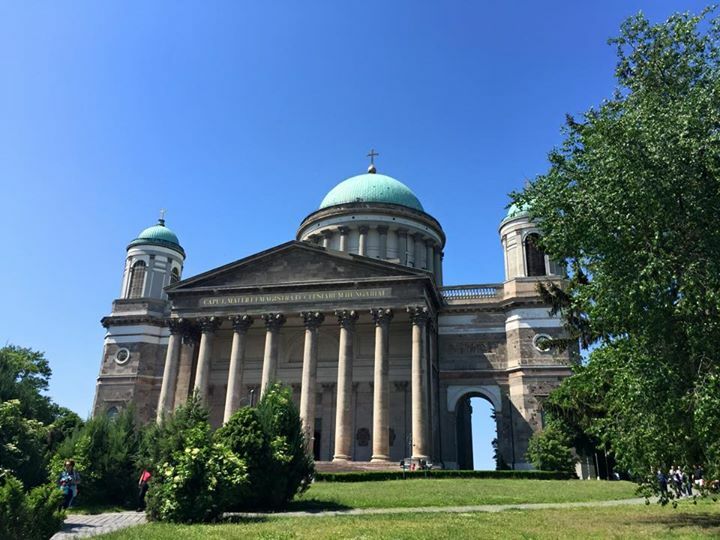 The site offered some interesting tours of both Budapest and the countryside. After looking up reviews on TripAdvisor, my Mom and I decided to contact the company and heard back within 24-hours. 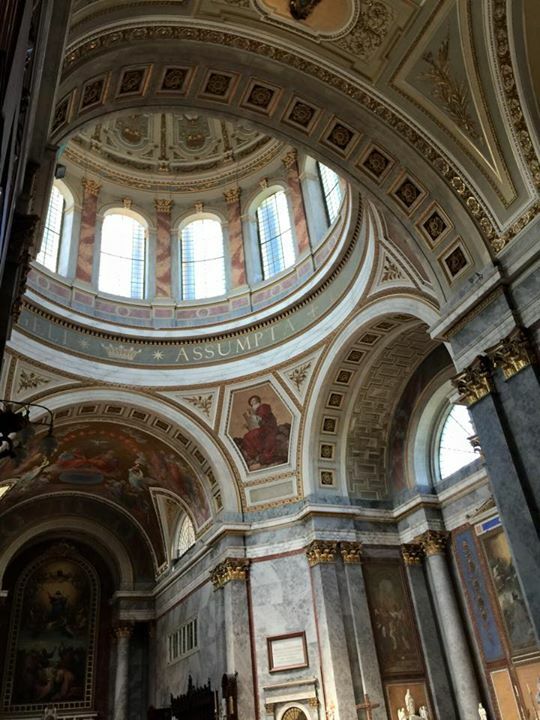 We were lucky and able to book a tour just a few weeks out before being in Hungary. We decided to not do a tour of Budapest, but instead the countryside since we wanted to see more of Hungary. The tour we selected was the Danube Bend tour and was about 8 hours long. 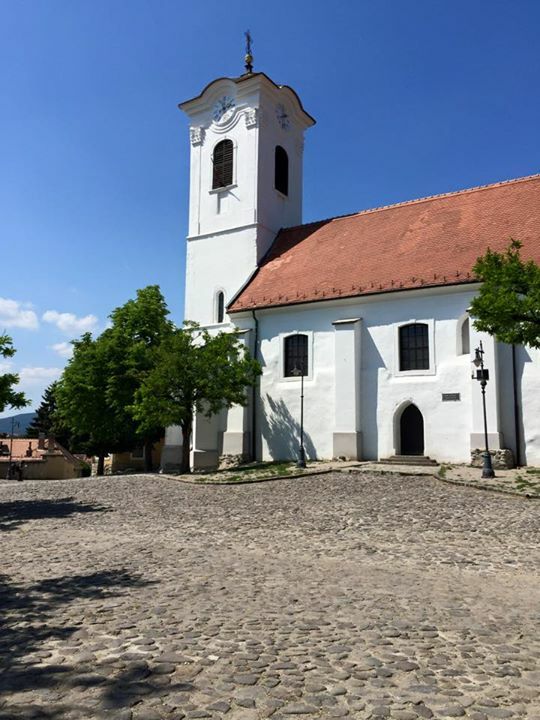 The tour visited Esztergom, Visegrad, and Szentendre. Before the trip started we were told our guide would be Juli and she would meet us in the lobby of the Viking Baldur at 9am. The day of the tour we got to the lobby a little before our meeting time to watch for Juli. Just before the time I could see someone who looked like the guide from the website being stopped by a security guard outside the dock. Interestingly, this was the only port with an actual security guard at the entrance of the dock the entire trip. We decided to head out to the dock to see if this was our guide, and it definitely was. She also made the comment this was the first time being stopped before by security and being asked questions. Juli then walked us to the van, which was parked just right by the ship where we met our driver for the day, Emi (spelling is most likely off). The van was comfortable with enough room for 3 more people in the backseat. Emi had also brought a cooler of drinks for us as well for the day. We then headed out to our first stop. On our way to our first stop of the day, Juli would have Emi slow down along the way through Budapest so we could see some of the sites from the van. She would provide explanations about the sites, like the former Roman ruins in Budapest. Even though the van was honked at a few times by other drivers for slowly passing by the sites, Emi gave us enough opportunity to see them from the van. This was really nice to see some of the sites of Budapest from the van by going slowly. We then headed into the countryside. Just a note, the roads in Budapest are extremely bumpy and makes for a rough ride in the van or any other vehicle. 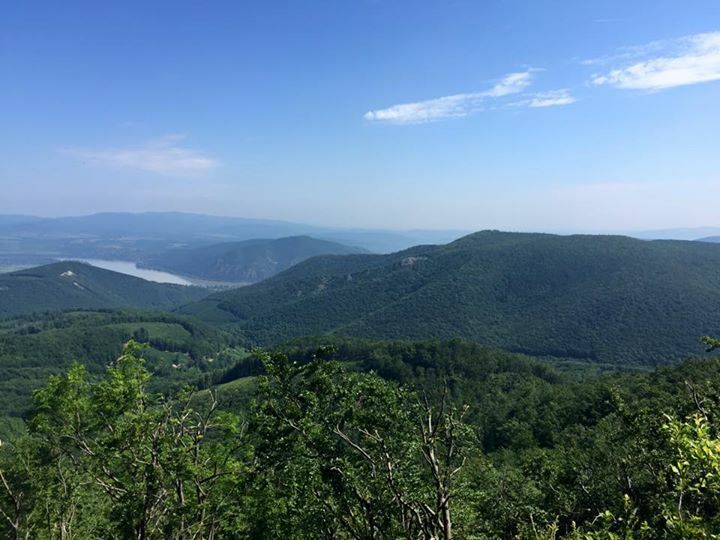 We first stopped at a popular hiking location in Hungary, which was not on the description. No we did not stop to hike, but to walk up to the lookout point. Juli told us hiking actually is very popular in Hungary because of the past Communist history. The former Communist government actually had hiking books where citizens would then collect stamps for where they hiked. The location is also a popular place for Monks today to meditate. 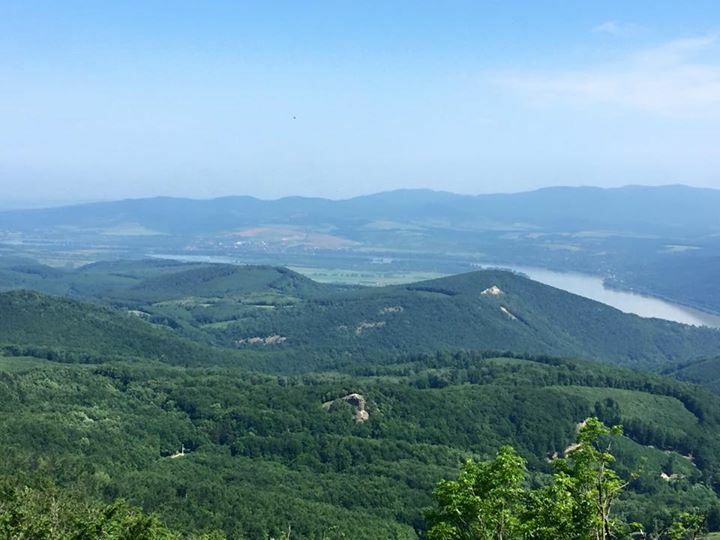 The view from the outlook was spectacular and overlooked the Danube. 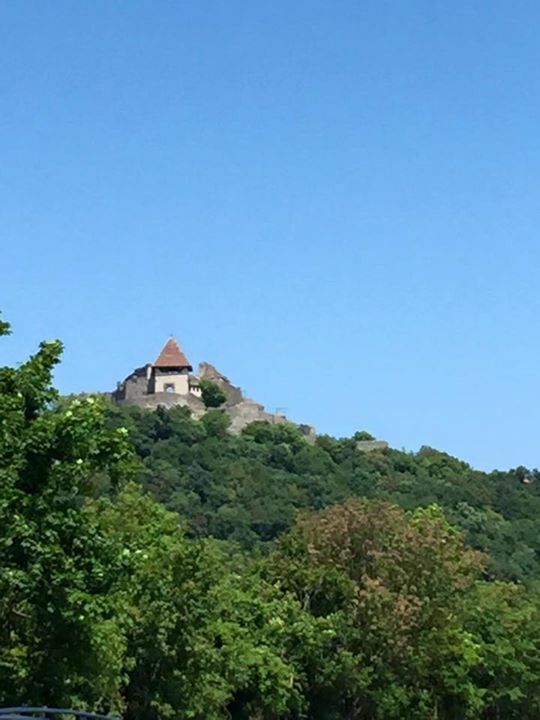 From here we then headed to Esztergom, which is a small town that had an important role in the establishment of the Hungarian state 1000 years ago. 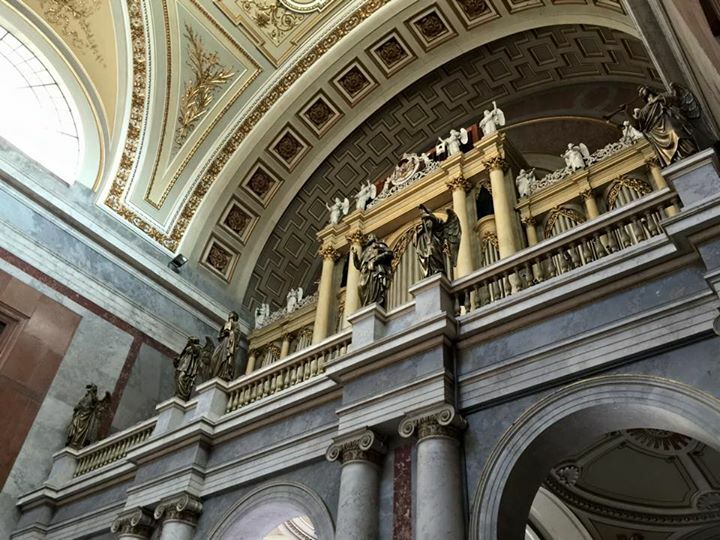 The main place to see in Esztergom is the Roman Catholic Church of Hungary, which is the largest in Hungary. The dome can be seen from across the river in Slovakia (we actually were driven over to Slovakia first to get a picture of the Church). From the dome you can see the entire town and part of the Danube bend. Once at the Church we had some opportunity to walk around inside and outside. 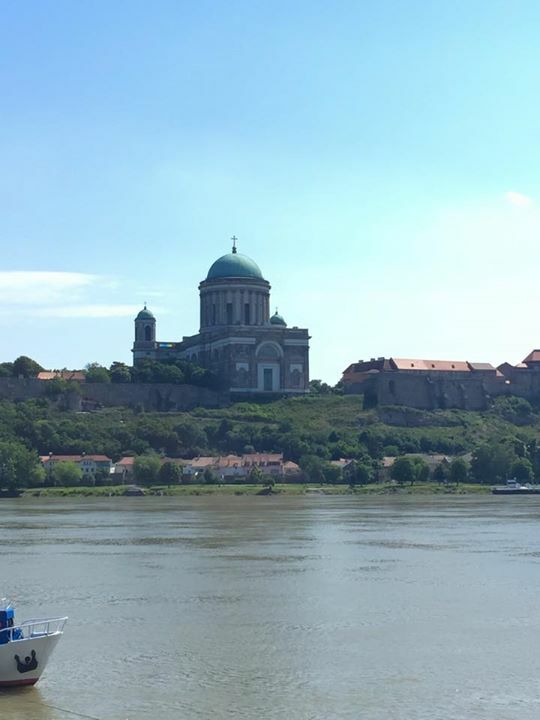 Once we were done touring Esztergom, we then drove to Visegrad. 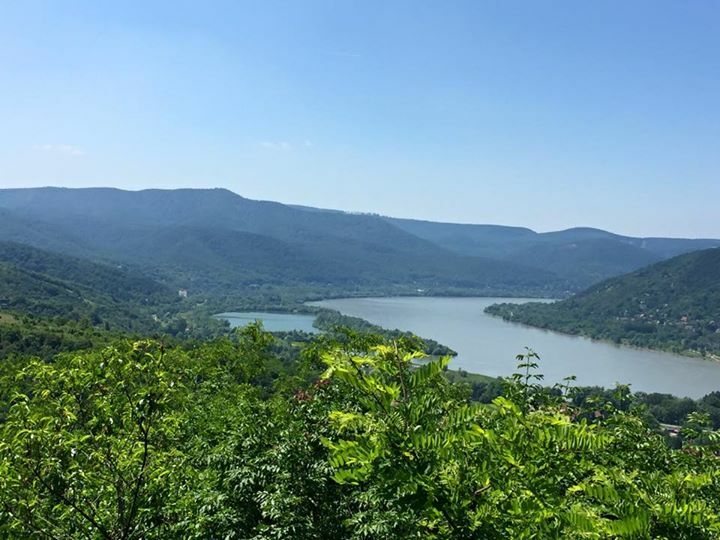 Visegrad is considered to have the best views of the Danube bend. Originally we were supposed to eat at a restaurant here that overlooks the citadel, but the restaurant informed Juli a wedding reception was currently taking place and only a couple tables were available to the public. 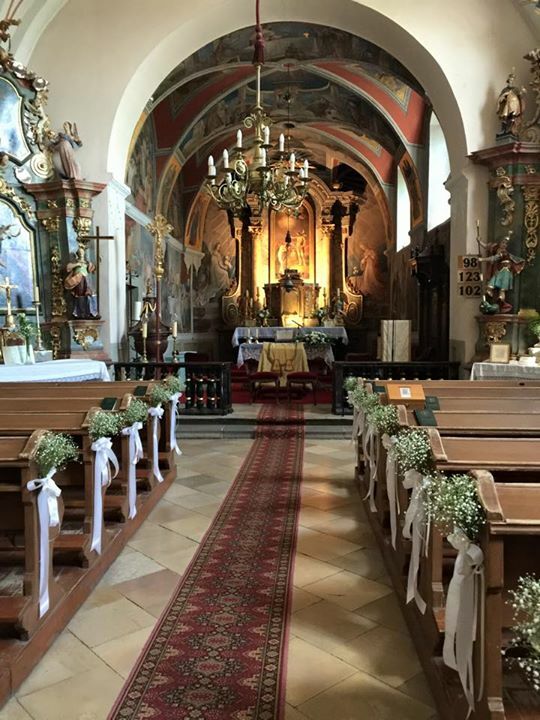 We all decided to instead have lunch in Szentendre since we thought it might not be the best time to go to a restaurant with a wedding reception taking place. 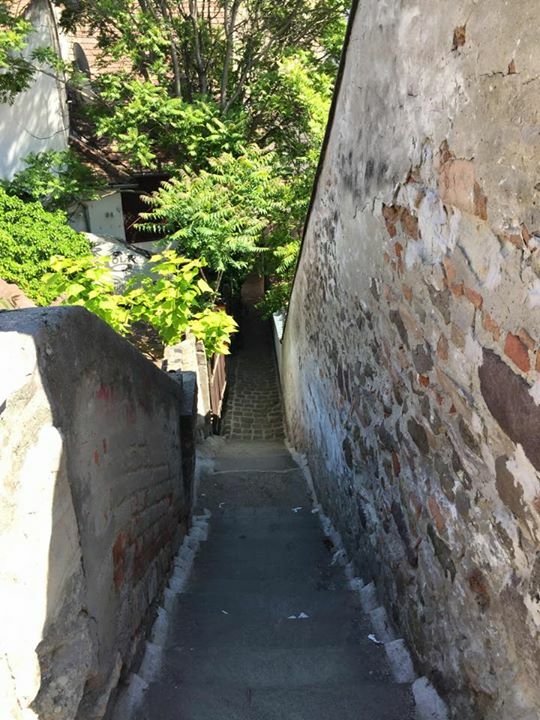 After driving around and stopping in Visegrad, we then headed to Szentendre. 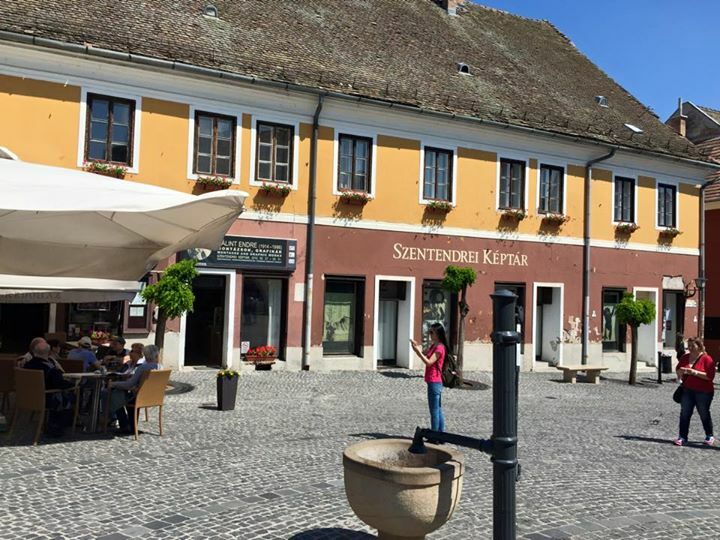 Szentendre is considered an Artists’ Village, which is home to lots of cafes, galleries, shops, and restaurants. Emi dropped us off near the other restaurant choice so we headed there. The restaurant was just okay, nothing great, which I think is a trend in Hungary. I think the restaurant was called Christine’s. 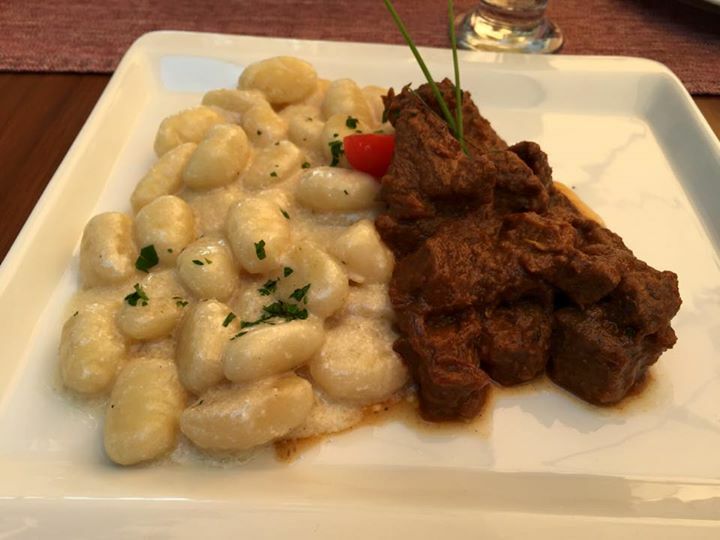 I had the beef stew with gnocchi, which I really liked. My Mom tried a bite and didn’t carry for the gnocchi al all though. She had the goulash instead, which she said was very good. 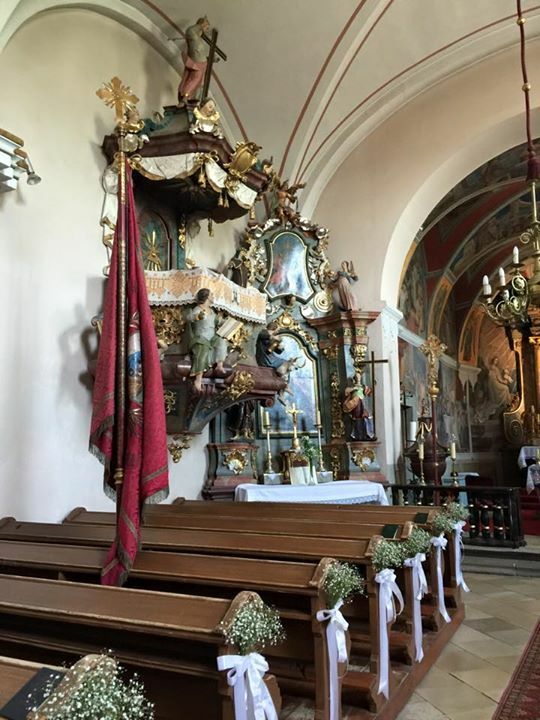 Now the service was below average, which was also another typical thing we noticed in Hungary. Once lunch was finished Juli then guided us through the city where we visited two different churches. 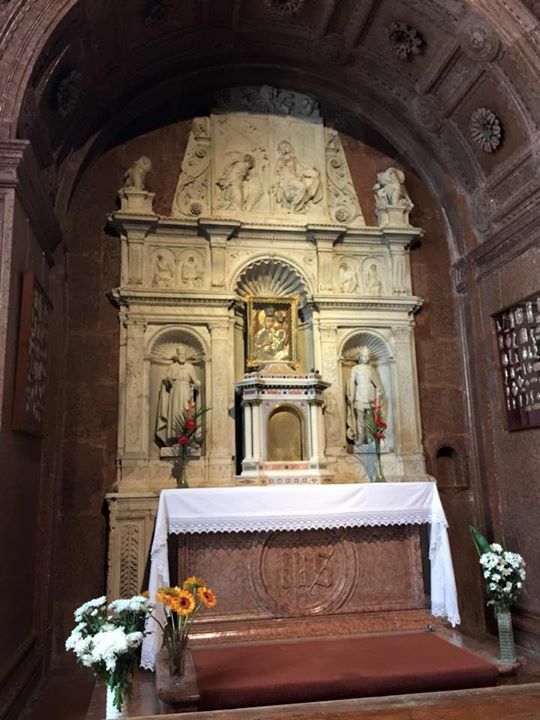 The town has a lot of churches and historic sites. One interesting site to note is a monument for a plague victim. 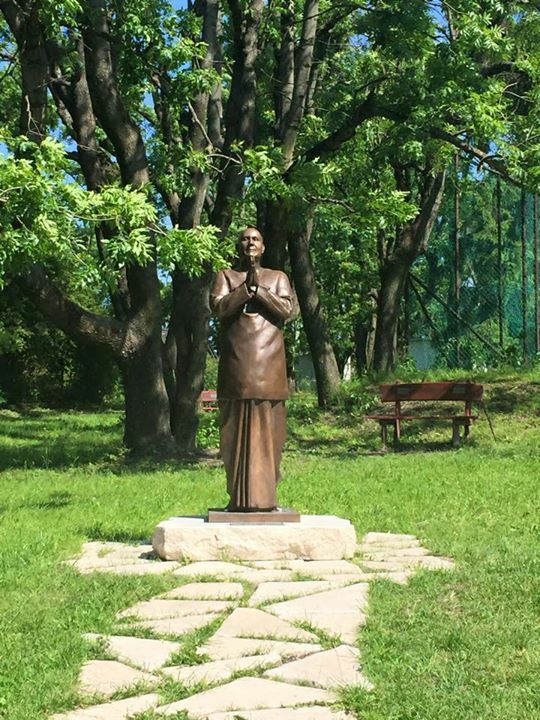 There was only one victim of the plague in Szentendre and the family created the monument. From here we headed up a very narrow stairwell to the Catholic Church. 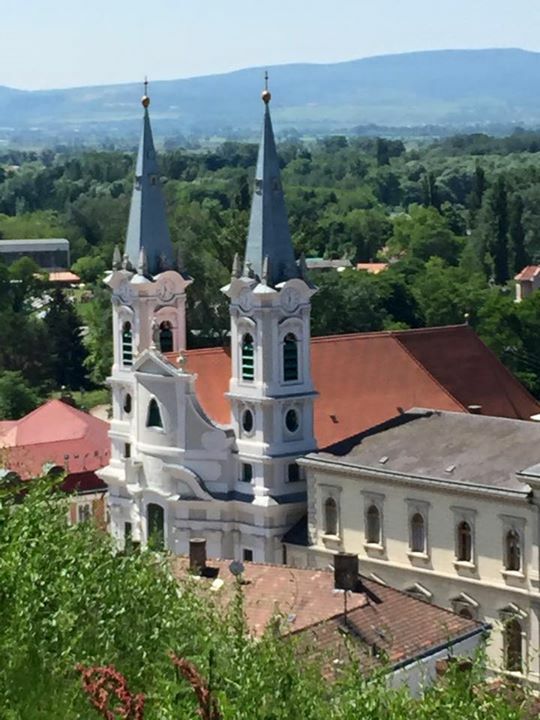 This was the only Catholic Church in Szendendre, but had fantastic views of the rooftops of the town. 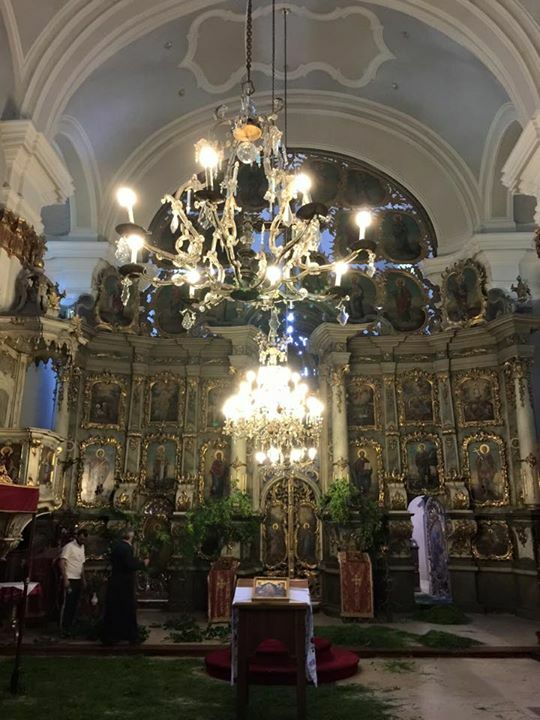 Next we walked around the town more before heading to the only Serbian Orthodox Church. Really both my Mom and I could have passed on this since we had to pay an entrance fee. Even though we paid an entrance fee we couldn’t see the whole church because it was partially closed that day to get ready for some random religious holiday (sorry, I just don’t keep up with religious holidays). The entrance fee did gain us access at least to the Serbian Orthodox Museum, which then charged a fee to take pictures so we both passed on the photo opportunity in the museum. All the relics though were very old and strangely all looked the same. Every face was basically the same in the paintings, even though the individuals were supposed to be different. After the Church we were given some opportunity to shop in the town. We did walk through some of the shops but decided to pass on purchasing anything. There were some really unique shops here and I thought the shopping was more interesting than in Budapest. Luggage space though was becoming limited and I decided to wait instead until I came across something I really liked that was small. Once we were finished in Szentendre we were then driven back to the Viking Baldur for our final evening. 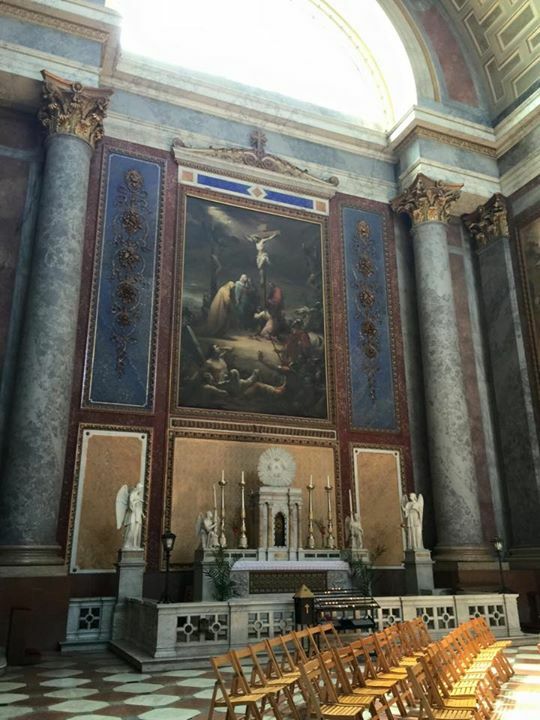 Overall the tour was very good and I would highly recommend going through Travel Guide Hungary if you are interested in doing any tours in Hungary on your own. Our guide Juli was excellent and well informed on the history of Hungary, in addition the driver Emi was friendly as well. Both my Mom and I were impressed with the tour and would say this was one of the better private tours we have ever done.